In 2000, Andy Gonzalez was asked to take over the organization from Buddy Breen. Realizing the growth potential of the league, Andy worked with the founders of the league to develop the Board of Directors concept in order to better run the program. Andy's vision was that the organization would be best served by volunteers within the community. As part of the management of the growing organization, Andy co-authored 1st bylaws for the group. During his tenure on the Board, Andy has served 3 terms as President, 1 term as Vice President, and 1 term as Boys Coordinator. During this timeframe, Andy was also active in moving the organization from the Eastern Shore League to the Anne Arundel County League. In addition to his volunteer service to the Board, Andy has continually coached boys and girls teams since 1999. In fact, about one dozen of the kids that Andy coached, including his own son Greg, are now playing at the college level. For his countless volunteer hours dedicated to the development of Kent Island Youth Lacrosse, we thank and honor Andy as the third inductee into our Hall of Fame. Regarding Andy, when it comes to the kids, he is a volunteer for life. Recognition of Coach Al – On July 18, 2010 we lost a great contributor to the sport of lacrosse, a great coach, and supporter of this organization - Kent Island Youth Lacrosse. Coach Al Cantello played and coached this sport for most of his 46 years with a tremendous love and passion for the game. He invested countless hours in the youth of this community while making friends with literally hundreds of families in the process. His spirit for the game on and off the field was evident to all of us and helped most everyone here gain even more knowledge and enthusiasm for the game. In recognition of his commitment and outstanding contribution to the sport of Lacrosse and in memory of our dear fellow and friend, we hereby induct Al Cantello into our Hall of Fame. 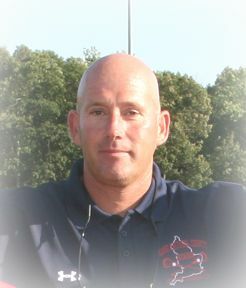 We will forever miss our friend and coach and in his loving memory let's start this competition. The very essence of leadership is that you have to have a vision. It's got to be a vision you articulate clearly and forcefully on every occasion. 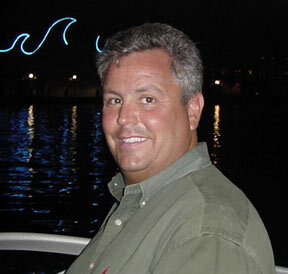 Buddy Breen had a vision for youth lacrosse on Kent Island and the Eastern Shore. Not only did he talk about it, he acted on it. Buddy served our organization for over 12 years as the President, Administrator, Board Member, Coach, and in every capacity imaginable to keep our youth lacrosse organization moving forward. Every year Buddy would dedicate countless hours to Kent Island Youth Lacrosse and the Eastern Shore Youth Lacrosse Association. Without him the organization would not exist today. For over 10 years Buddy ran this organization by himself, establishing the foundation for a program that had 21 travel teams in 2007, and over 160 kids in our in-house program. In 2003 Buddy helped establish a Board of Directors and Bylaws that govern the organization going forward to make sure it succeeds. In 2004 after 14 years of service, Buddy decided to retire from the program. He had continued to run the program long after his kids had graduated from the program. Buddy’s vision was not only for the youth of Kent Island but for the whole Eastern Shore. In addition to his leadership in the Kent Island community he also served as the President of the Delmarva Chapter of US Lacrosse and as Vice President of the Girls program for the Eastern Shore Youth Lacrosse Association. Buddy was always the voice of passion and reason for the game and the youth of the Eastern Shore. And for the youth of the Eastern Shore.